Set the mood for the day by wearing springtime colors (eggplant and daffodil), and then walked outside and loved the fabulous springtime weather. Enjoyed our corporate team meeting where we talked about our upcoming conventions (hope you’re planning to join us!) and our incentive trip to Disney World. We got to hear all the details, and can I just tell you how excited I am? Next, stopped by our new-hire celebration. Four new hires (all young, probably in their ‘20s), and it was fun to feel their enthusiasm as they become part of our Stampin’ Up! family. Then this afternoon I continued to be surrounded by youthful enthusiasm when I presented as part of a women entrepreneur series at Brigham Young University. I’ve decided that I’m not much of a lecturer; every time I do these things, I almost always tell my brief story and then open it up to questions and answers. I figure the students are the ones who know what they need (and hopefully want) to hear, so I’d rather just answer their questions. Of course, I have to mention that the class wasn’t all young students (there were a fair number of nontraditional students—woohoo! ), nor was it all women. . . there were several male students there too. I enjoyed my time with them and left feeling invigorated, as well as enlightened. One of the students mentioned that stamps seemed to be “something out of the ‘80s,” while another student mentioned that she had been stamping with her mother since she was 12. 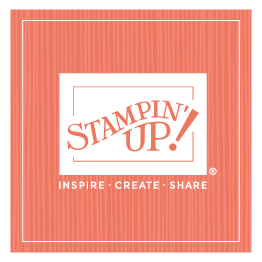 These types of experiences continue to convince me that we’re doing the right thing by trying to reach out to younger crafters and share the wonderful opportunities that Stampin’ Up! provides of creativity and stamping and sharing. . . . Our research shows that the younger generations haven’t heard about us, and I’m excited to change that!